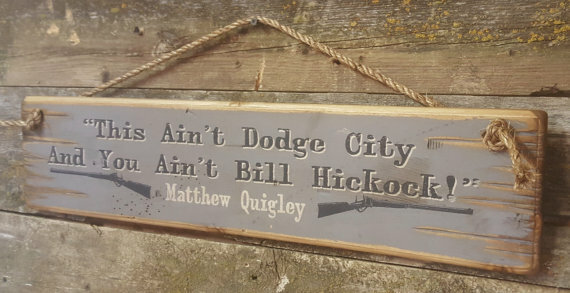 This Ain't Dodge City, And You Ain't Bill Hickock, Matthew Quigley, Quigley Down Under Quote. One of my favorite lines at the end of Quigley Down Under! This grey background sign measures 5.5x24 and comes with the grass rope hanger for easy hanging. Handcrafted with pride!